Light and bright, freshly painted second floor unit. 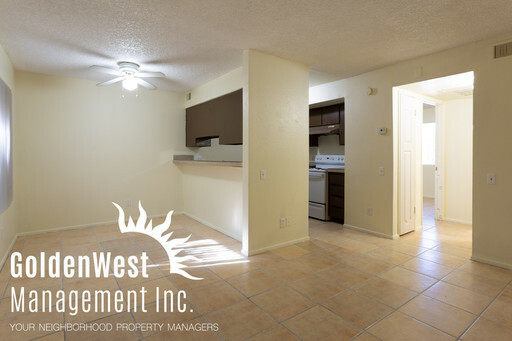 Tile floors throughout, large bedroom with closet and kitchen with plenty of cabinets and white appliances. Bathroom with tiled tub surround and wide vanity giving you extra counter space. There is a sparkling pool, community laundry and vending machine on site. Walk to shops, restaurants and bus stop to get around town. Water/sewer/garbage included. One Month Free Rent for qualified applicants. Call for details.